DD: That's a pretty ring mommy. DD: It's really, really pretty mommy. I've never seen that ring before. I really like it. Me: Thank you, DD. That's a very nice thing to say. DD: Mommy, when you die, can I have that ring? DH: DD, when mommy dies, you can have all of her jewelry. DD: (raises both hands in air and pumps her fists) Yeah! You know, I think I would have liked to have seen a little bit of anticipatory sorrow to go along with that cheer. Sigh. You know, I seem to happen upon a lot of posts about secondary infertility. Usually, secondary infertility means that a person has a child, but she is having difficulty conceiving another. The question asked always seems to be, which is harder, primary or secondary infertility, or some variation on that theme. I guess I don't technically qualify, because I am infertile. Or perhaps subfertile. Whatever, the results are the same -- no baby. I don't really have secondary infertility, because I had problems the first time around too. So maybe I'm not qualified to talk about this. But, that never stopped me before (smile). But, let me just start by saying that there is always pain in not having all the children that you want, that by writing about my feelings I don't intend to demean anyone else's feelings, and that I certainly am not trying to speak for anyone else. Other people have a right to feel differently, because their experiences are different. So no offense meant or taken, m'kay? For me, hands down, I think that primary infertility has to be much, much worse. Before DD, I ached for a child. I lost the ability to go to baby showers, see pregnant women, or deal with questions about when we were going to have a baby. I knew that my SIL was making comments about my being too "old" to have a baby, because my mother told me that she was. It was just one of many things over the years that made it so I just couldn't stand her. She continued to have babies -- babies that they couldn't (and can't) afford -- and I couldn't even get out of the starting gate. I loathed those women who had the audacity to bring their children with them to the RE's office. I mean, really, how f*cking dare they do that? They were just showing off, weren't they? Once, I burst into tears in a restaurant where there were only adults, because after all, they were all babies once, and that meant that their parents could conceive, so why couldn't I do it? It was a bad, dark time. I had no charity in my heart. I didn't stop to consider that the pregnant woman that I despised so much just might have been a "stirrup queen" herself. You know, I often talk with DD about the difference between needing something and wanting something. The example that seems the easiest for her to understand is that babies need milk from their mommies (no, I haven't gotten into the breast/bottle debate with her -- she's only three -- and I don't care how she chooses to feed her babies). But, big girls, who know how to eat and drink, just want milk from their mommies. I think she gets it. And I think that is the best way to explain the difference for me between the first and second time around. Before having DD, I can honestly say that I needed her, just like I needed the air that I breathed. I ached for a child, and I wouldn't have stopped until I had one. Period. I ended up doing something I never thought I would do to have her (donor eggs), and I would do it again. (Um, I guess I did do it again. Now, we're just waiting for a successful cycle.) I would have adopted, even though I thought that part of what I really wanted was to experience what it would be like to be pregnant. If I absolutely couldn't have carried a child, adoption would have been fine. It was a dark time. I was jealous, hateful, angry, and feeling deserted by God. I don't understand why that was my path to walk. But I did, and I've made it to the other side. Today, I want a second child. Please know that I will have a gaping, aching hole in my heart if it doesn't happen, and I can't emotionally grasp that it might not come to pass. If it doesn't happen, then the way that I envisioned my life will fundamentally change, because I always, always wanted two children. But, even so, even after four failed cycles in a year, I can go to a baby shower and ooh and ahh over the presents. I can see a pregnant woman and smile, and I don't automatically resent her and assume that she's one of those "fertiles" who got pregnant at the drop of a hat, that she couldn't possibly appreciate how amazingly blessed she is. There are so many people struggling with infertility, I know that there must be a lot of them out there who are pregnant now, their pain invisible to most -- tentatively proud of their bellies, scared that something will happen to take their happiness away, and afraid to truly bask in the joy of pregnancy. I know you, sister, because I've been you. In fact, I don't feel any bad thoughts at all when I see a big belly now; I just think "how wonderful for her." And now, when I see a mom bring a child to the RE's office? I realize that she has a child care problem. What is she supposed to do, skip the doctor's appointment because she doesn't have a sitter, on the chance that she might offend someone? No, she doesn't have to do that. And I can even smile at her little one. I guess that the charity has come back into my heart. The craziness has receded. So, that's my $.02 on "secondary" infertility, even though that isn't really my story. For me, having one in my arms is worth all the gold in the world. I wouldn't trade her for anything. I dream about another little girl. I wonder about a little boy (I haven't a clue what to do with a little boy -- seriously, they are foreign to me). I want another happy, healthy wonderful little child to raise. I hope that I can. But I just can't bring myself to say that having problems the second time around is just as bad as before. Because when you can bend down and fill your lungs with the wonderful aroma that comes from a sleepy child, it just takes away so much of the pain. You know, they say that you have more patience with your children when you are an older parent. Perhaps that's true. I've never been one to have much in the patience department, and I guess I have more now than I did twenty years ago. But -- I was ready to crown my daughter tonight. She is such a f*cking whiny wimpy diva sometimes. Last night, DD said that she wanted to go swimming. We bought this fancy automatic pool cover (that you can actually walk across without sinking into the water) as a security measure for DD. It completely seals the pool, and she can't get it open without a key, and the key (and the place to insert it) is out of reach. You have to apply pressure to turn the key and keep it there to get the cover to move. Hopefully, this, plus the locked gates, will keep DD out of danger. Ever since we bought the cover, DH has gone through this 20 minute exercise of taking off all the leaves, vacuuming off the water, and a million other things before we are actually allowed in the pool (don't ask). So, it takes some time from the time we decide we want to go swimming until we are start swimming. The pool cover rolls into a box-like thing at the end of the pool. Apparently, DD was jumping off of this last night, and she fell and skinned her knee. Literally. Just a skinned knee. No swelling, minimal bleeding, just a scrape. You've had a million of these and so have I. But oh my goodness. You would have thought that DD had just broken her leg. We couldn't go swimming. "Mah leg, mah leg," whimper, whimper, sob, sob, hyperventilate. She hopped around and claimed she couldn't walk. Puh-lease. Because I thought that the water would probably have made it sting a bit, I let her pass on the bath last night. I put her in the tub, and again, I heard "mah leg, mah leg," whimper, whimper, sob, sob, hyperventilate. I washed her quickly, trying to avoid getting any water on her knee, amid much wailing and sobbing. Of course, she wanted to get immediately out when I was finished, and I obliged her. DH came down at that moment, because it was daddy time. (We each take some personal time every day for e-mail, getting our clothes ready for the next day, etc.) I gladly turned her over to him, after I sprayed some Neosporin on her knee (no screaming about that), and DH helped her put another Hello Kitty bandaid on. The last I heard, she was wailing while he carried her up the stairs to get dressed for bed. And, if history teaches me anything, this is going to continue until the scrape fades completely from sight. Sometimes, the only thought that goes through my head when she acts like this is "oh, grow up already," but then, I feel silly when I remember that's she's only three. And this is probably normal. Now I know why it's best to have two parents. Because, sometimes, you either have to hand them off or kill them. And, no matter how much you want motherhood, and Lord knows I wanted it my whole life, this child just gets under my skin sometimes. Fortunately, though, it's not too often. I do wonder how the cavemen did it -- it would seem to me that they probably just pushed their whiny brats outside for the mammoths to eat whenever they heard the prehistoric variation of "mah leg, mah leg," whimper, whimper, sob, sob, hyperventilate. So, do I qualify for any mommy of the year awards? Somehow, I doubt it. It's already starting. I don't know why I thought I would have more time . . .
"Mommy, how do babies get out?" I repeated the question, because I wasn't sure that I'd heard correctly. It really wasn't part of the flow of conversation. But, I'd heard correctly. Though, I can't help but wonder . . . how long it will take her to ask how babies get in? I had my first acupuncture appointment today. I was really, really stressed out when I got there. There was a ton of construction on the expressway that I needed to use, and even though I knew the construction was there, I didn't expect it to be so crowded at that time of day. Not only was I stressed, I guess it would be fair to say that I'm just p*ssed. Every route -- every damned route -- has some type of construction on it. It is simply impossible to get to and from work, or go to and from anywhere else for that matter. And this same stuff happens every year, and they always seem to be working on the same roads doing the same things. It is simply ridiculous. Truthfully, I am secretly delighted whenever I hear that my state is getting less highway funds than expected. Since they can't seem to manage the funds they receive, I think it's only fair. I absolutely hate the planners in my state's department of transportation, and I think the appropriate punishment is to take them all out to the town square and execute them at sunrise. And no, that is not too harsh. Really. But I digress. I got to the office -- five minutes late -- filled out some paperwork, and went into a small room. The doctor (I guess that's fair to say, since she has a PhD and went through a three-year training program in China) was really nice. She used acupuncture for her own infertility treatments, and she had a baby at 44 (with her own eggs). Actually, I learned that she and I worked at the same place many, many years ago. I didn't know her then, and it was before she became an acupuncturist (though she used acupuncture in her own life at that time). And, she also knew an acquaintance of mine who died several years ago. Kind of weird, actually. I guess it's a small world. I really had no idea what to expect. She showed me the needles, and how they would be inserted (demonstrating on herself). Looked simple enough. I thought they were so small that they wouldn't hurt, but a few of them smarted a bit, especially the ones in my ears. In addition to my ears, there were needles in my forehead, my head, my hands, my belly, and in my feet. After she had them all in, she scented the room with an odd but not unpleasant scent, dimmed the lights, and turned on some soft music. And, to be honest, I wasn't expecting to feel what I felt. I wasn't so much relaxed as I was . . .
How come I've never heard about this before? The doctor said that was actually a good sign, because it meant that the treatment was working. The odd thing was that most of the needles did not itch. There were three in total that were affected, but they itched the whole time, sort of like a mosquito bite. It was kind of hard to relax. Two of them were on top of my thumb joint, and one was in the middle of my foot somewhere. I asked what the pressure points corresponded to, and the ones on my thumbs corresponded to my lungs (not only did they itch, but a small circular area around the needle turned red), and the one my foot corresponded to my liver (stress). Well, duh. Yes, I do have me some stress. And, I do have asthma, though it's a mild case. Oddly, I had to use my inhaler this evening, and I almost never have to do that. After about 20 minutes or so of the needles, the doctor massaged my tummy, and then my head. That was pretty relaxing. She also taped some little round seeds over a pressure point just inside my ear to help relieve stress. She said I could leave them there for two-three days and push on them when I felt stress coming on. She also suggested that I try to avoid caffeine, at least until after the transfer. And, we also discussed breast feeding. She said that the Chinese believe that nursing takes a lot from the body, though in my case, it is probably less since the nursing sessions really don't amount to much. We also had an interesting discussion about China and its horrible government that really doesn't value human life very much. On another note, DD is going to a princess party tomorrow. It's not a birthday party of any sort, and we actually bought tickets to this event before she was invited to the birthday princess party. DH and I will be going too, and even though DD won't know anyone, I think she's going to have fun. Which will be accompanied by glittery silver shoes from Target that she has almost-but-not-quite grown out of, as well as a plastic silver beaded necklace that we will double up. She truly does look like a princess, and she's very, very excited. I'm kind of excited too, even though it will mean a lot of rushing around after work. I can honestly say that I never went to a princess party when I was small. They weren't even invented way back then. 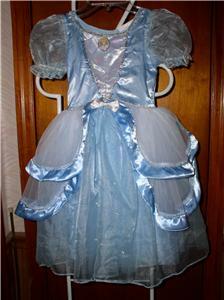 I was a princess for Halloween once, but my costume couldn't hold a candle to DD's. It was a cheap flammable thing with glitter glued on, and I had a cardboard wand with silver paper over it and a star at the end. I thought it was very charming. But DD actually is charming. And, I get to experience what it's like to be a princess once again, though her. Truthfully, I think that is one of the better things about having kids. They really teach you to lighten up, to imagine, to experience, to live in the moment, to love fully, and to just . . .
Me: DD, I can't believe that you are going to be four! And that you're going to be in pre-K soon! Where did all the time go? DD: I'm growing up mommy. I'm going to be four, then five, then six . . . then 21! DH: Then you'll be all grown up. DD: Yes. And I will move to another land. Me: (WTF?) Um, another land? DD: Yes, because that's what everyone does when they grow up. Grandma did. And I'll have babies. Me: No, DD, Grandma didn't do that. I didn't. Daddy didn't. We just moved to another city. You know, if you move to another land, we would never see you, and we would never see your babies, who would be our grandchildren. And that would make us sad. DD: I could visit once in awhile. Me: Or we could follow you! Yes, we could follow you to the new land so that we could see you and your babies. DD: No mommy. You wouldn't follow me. You would be dying. Alrighty then. My purpose in life fulfilled, and my daughter in a new land, my life would be over. Literally. Sheesh. She could have at least acted a little sad about that. I used to date a doctor for about four years; his name is A. He is a nice guy, and once every blue moon, we still e-mail each other (and yes, DH knows about it - good thing, because he [DH] also reads this blog). A graduated from a very good school, and he was an M.D., not a D.O. Personally, I have always favored D.O.s, and A told me that was likely because D.O.s are usually a little bit older when they start medical school, and many of them have dabbled in a different career before settling on medicine. It's not always true, but it's often true. I don't know why there is such a difference, but honestly, if I think about the doctors that I'm willing to walk through fire for, versus the ones that I think are flaming a**holes, the former are usually D.O.s, and the latter are usually M.D.s. While your experience may be completely different, I've also found that D.O.s are more flexible in their approach, more willing to take the patient's desires into consideration, and more willing to consider alternative medicine. One thing that I used to tease A about was his absolute close-mindedness toward alternative medicine. I guess I have always thought that if it doesn't hurt, and it makes a person feel better, then why not? A had a standard line that he would use on people, which sounded nice but which was so very sarcastic (I think). He'd developed it over the years. It went like this: Patient comes in and is very excited about something, let's say aromatherapy (which is the first thing that comes to mind at the moment). A would listen patiently about the virtues of aromatherapy, and when his opinion was asked, he would say something like, "well, that is not consistent with the tenets of western medicine, at least as I understand them." Honestly, it was meant to sound nice, and I'm sure that it was delivered well, but what he was really saying is that the patient was hopelessly full of sh*t.
Anyway. I've decided to try something different this cycle, really out of desperation. I keep reading about how people have used acupuncture, and a couple of people who've used it have suggested it might be worth a try. You might remember that I asked the nurse at my RE's office about this, among other things. Even though I got the STOP NURSING NOW suggestion, at least she was kind enough not to pooh pooh me. She said that there was a German study that indicated favorable results from acupuncture, and she even made a special call to give me a referral. But, I still had A's biases dancing around my head. I finally screwed up the courage to call, and the recommended doctor answered the phone. She didn't sound like someone who was off the wall; she was actually very nice. I asked her if this stuff really worked, and she said it did (she used it for her own infertility treatment). She mentioned an author, whose name I have written down at work but can't recall at the moment, as someone who'd written about the subject, and she also said that there are more and more research studies that point to the benefits of acupuncture. So, I called DH. He is a lot like A, I think, when it comes to this stuff. He didn't object, but he does think I'm a bit nuts. I called back and scheduled four appointments. The first one will be an hour and a half, and the other three are an hour each. I need to go the three weeks before transfer, once a week, and then either the day before, the day of, or the day after transfer. (Transfer in my case is currently scheduled for 9/8.) They are even willing to come in during the transfer, if the doctor allows it. My doctor would probably allow it, since his clinic gave the referral, but they still utilize a hospital for transfers (the one that they used to be affiliated with); this particular hospital does not allow it. And the total cost is around $325. You know, when you've spent well over $20,000, what's another $300 between friends? Seriously. Especially if it might work. So, we'll see. I've admitted that the thought of failure with this second donor makes me hyperventilate. I try to be philosophical about it, that if this doesn't work, a second child wasn't meant to be. But I can't imagine letting go of this. Just can't imagine it. And I hope I don't have to. But right now, there seem to be more heartaches than successes in the blogosphere. It's very sobering. And yet, the crack whores go right on getting pregnant. It is so unfair. So, I will be looking eastward this cycle. I would love to be a positive statistic. For once anyway. I must admit, I am not in any hurry to correct her (aren't I awful?). I think it comes from a fear that she might be my one and only, and I am in no hurry for her to grow up. Everything is going fast enough, thank you. I am still in shock at the realization that she will actually turn four this month. I don't know where the time goes, though I remember everyone told me that it would fly by. The next thing I know, she will be a teenager, so snuggling will certainly be out. I guess hair smelling, raspberries, and neck nuzzling won't be allowed either (sniff). So, how about you? Any cute things that your kids say? (Or, if your kids are grown, what do you remember? Or, if you don't have kids, have you heard some cute things from a family member? Or, did you used to have some cute little me-ism that your family has never let you forget?) Please share! I just love this stuff.